The votes are tallied, the results are in. Uncharted 2 has become E3 2009's game of the show. If the response to our beta contest is any indication, this game is going to be insanely popular on the PlayStation 3 when its released later this year. 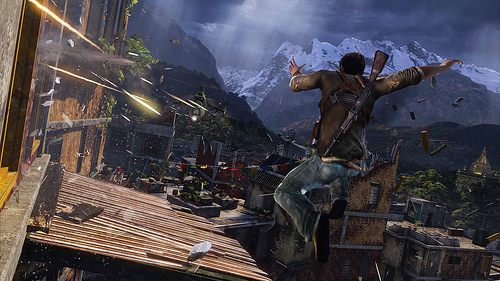 Uncharted 2 has taken home over 21 awards, including numerous game of shows from various media outlets. Whether it was awarded it for it's incredibly engaging single player story, or for the brand new co-op modes - well that's yet to be seen.